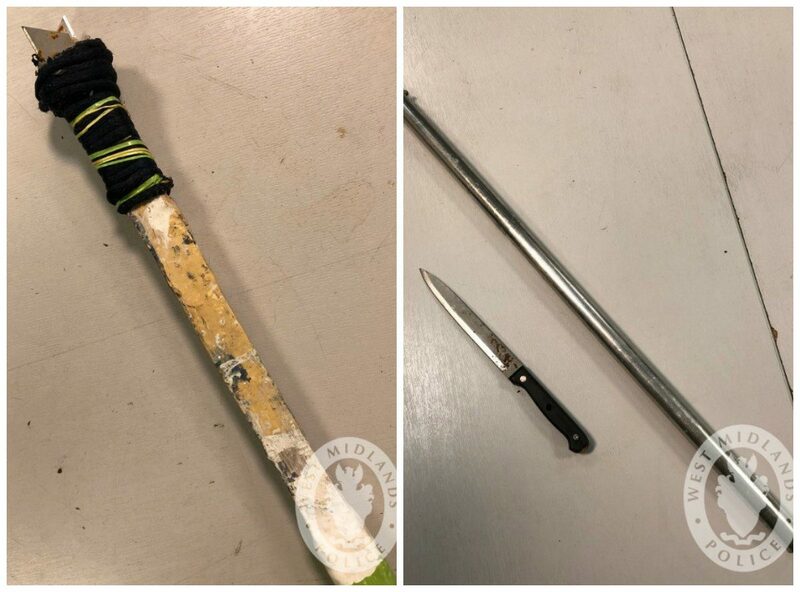 A teenager was arrested after being found with this double-bladed BATMAN knife – as used by Christian Bale in The Dark Knight. The 17-year-old boy was charged with possessing the weapon as well as nine wraps of Class A drugs after he was arrested on February 6. The incident came as part of an operation by West Midlands Police to tackle violence in Coventry, West Mids. There were 16 serious incidents involving a knife or other bladed weapons in the city last year. More than 40 people have been arrested since the beginning of 2019 – and 16 suspects have been charged and placed before the courts. The operation has also seen 25 vehicles seized and more knives recovered during “weapons sweep” of parks and open spaces in the city centre. Superintendent Phil Healy said: “Tackling violence in Coventry has been made a West Midlands Police priority – it means the city is benefitting from a significant uplift in officers patrolling the city centre with traffic units, response officers, armed patrols and other support teams all increasing their presence here.